SEIBON Carbon, a division of SEIBON International, Inc., specializes in the design and manufacture of high-quality carbon fiber automotive body components such as hoods, trunks, fenders, and aerodynamic body additions such as rear spoilers and side skirts. Your looking for a carbon hood...don't fool around with other competitors products. 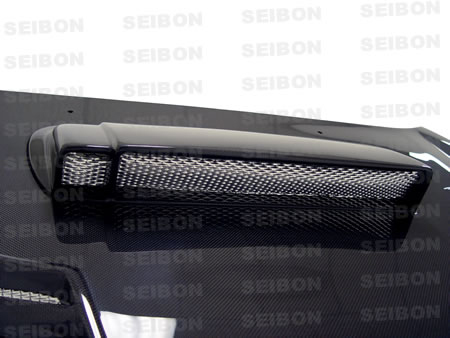 With Seibon you will enjoy the tight and constant weave of their carbon fiber products. You will appreciate the workmanship that goes into their manufacturing process, and you certainly will like the way their products actually FIT! Today there are a lot of carbon fiber manufacturers to choose from for styling your WRX. These manufacturers offer you a wide range of similar looking products for varying prices. As a discriminating Subaru owner you want something that looks as good on your car as it does in the picture on the internet, right? That's why we have chosen Seibon. 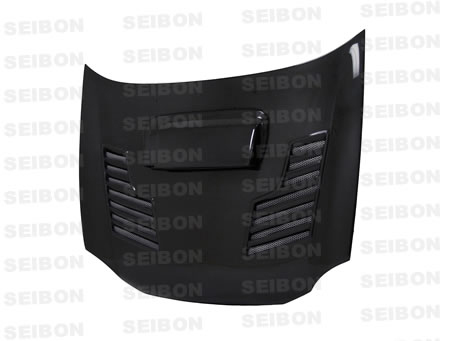 Seibon CWII-Style Carbon Hood replaces your factory hood to add style and save some weight. Seibon hoods are shipped with flat rate and cost will be shown at time of check out based upon your location. Specializes in High-Quality Carbon Fiber Automotive Body Components. Seibon Carbon components have been featured in television shows, in movies, at racing events, on magazine covers, and at national and regional auto shows. 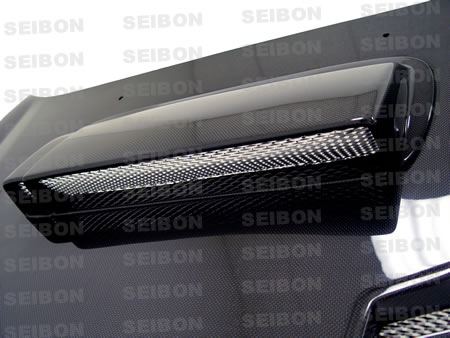 More importantly, Seibon carbon fiber parts continue to be demanded by knowledgeable enthusiasts on all five continents. With active dealers located in the United States, Canada, the United Kingdom, Korea, Greece, Russia, Switzerland, Dubai, Singapore, among others, we compete successfully on a global basis. We are proud members of the Specialty Equipment Manufacturers Association, and participate in the SEMA show each year.